Have you been suffering from dark circles? If yes, I guess reasons are many. Stress, fatigue, dehydration, long chats with your partner, use of gadgets at night… and the list goes on. The skin below your eye is most delicate and hence you need to take care. Opt for a healthy routine with proper, good sleep and eating healthy. These are the basic ways of life. Again, the market in India has been producing a large number of cosmetics and best creams to help you get rid of dark circles too. They also help in reducing eye puffiness to a very large extent. Here are some of the top 10 best dark circles removal cream marketed in India. Have a look! 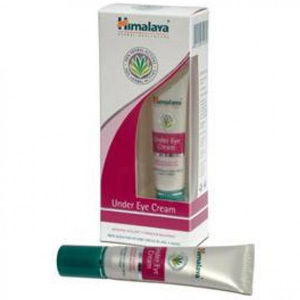 Himalaya Herbals Under Eye Cream is one of the most famous products available to fight dark circles in Indian skin. The Cipadessa bacciferd and Bergenia ligulata herbal extracts reduces the appearance of dark circles and at the same time smoothens wrinkles and fine lines. 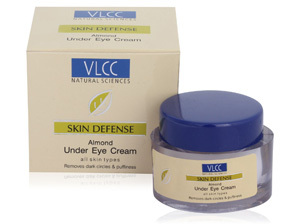 VLCC Almond Under Eye Cream is another best cream that helps in the reduction of dark circle available in India. Active ingredients include chamomile extract, wheat germ oil, almond oil, olive oil and vitamin E that work perfectly on your skin and keep it moisturized. 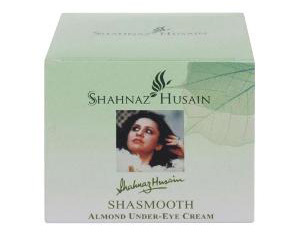 Shasmooth Almond Under-Eye Cream from Shahnaz Husain is another popular daily moisturizing eye cream in India. The cream claims to fade away fine Lines and wrinkles along with under eye puffiness. It makes your skin look warm and fresh all day long. 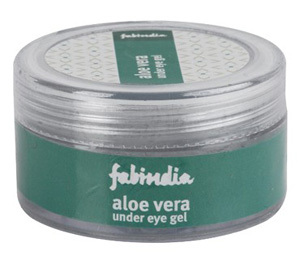 FabIndia Aloe Vera Under Eye Gel is one of the best eye care products available in the market. The aloe vera gel content reduces dark circles and wrinkles under the eye. It is quite cheap to other brands mentioned in the list. It has a very soothing effect on the eye. 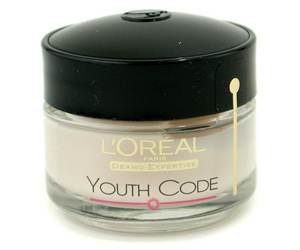 Rejuvenating Anti-Wrinkle Eye Cream is one of the most famous eye care cream from L’Oreal. It is a unique moisturizing formula coupled with Pro-GenTM technology for healthier, soft and smooth under eye area. It also reduces fine lines and wrinkles but contains parabens. 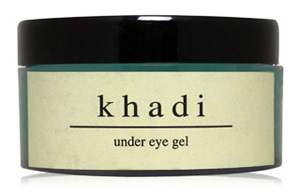 Khadi Under Eye Gel is another most popular gel that helps in removing dark circles. The gel provides a cooling sensation that actively works on tired eyes. It brightens the eye area and cover fine lines keeping you away from ageing. It also works against eye puffiness. 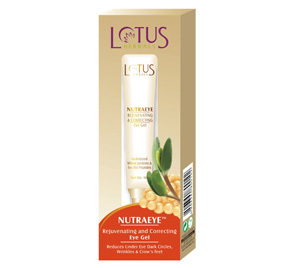 Rejuvenating and Correcting Eye Gel from Lotus work very effectively on Indian skin. The cream claims to remove all signs of stress, puffiness and dark circles. The hydrolyzed wheat protein extracts work on under-eye lines and crow’s feet quite effectively. 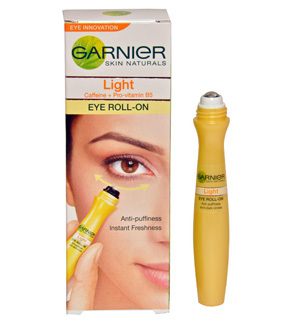 Garnier Eye Roll On Pen is one of the most famous product in this category. It mends all under eye problems such as puffiness, dark circles and brighten eye contour. It is cool and refreshing and keeps your skin away from aging. The liquid too gets absorbed very fast. 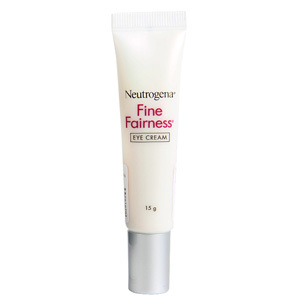 Neutrogena Fine Fairness is another best eye makeup product in India. It claims to help you get rid of under eye puffiness and keep the skin moisturized and healthy. Natural mineral content revives the eyes and make you look lively. The fragrance is awesome too. 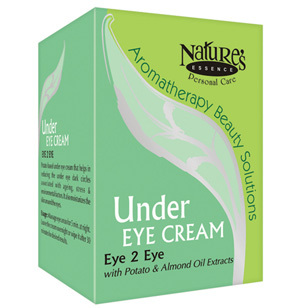 Nature’s Essence Under Eye Cream in another eye care solution available in India. The cream is not too greasy and effectively treats dark circles and fine lines. It is beautifully fragranced and is quite cheap. It keeps the skin hydrated and removes all signs of stress and puffiness. Once you get rid of those dark circles, get ready to sizzle parties with our collection of Best Kajal Brands in India. Actually i m male i got fair face everythng good bt getting wrinkle n look damn weird to my previous. So i jst want to knw best product to recovery my eye wrinkles . Thankyou. Cheers !!! Which one will actually work?